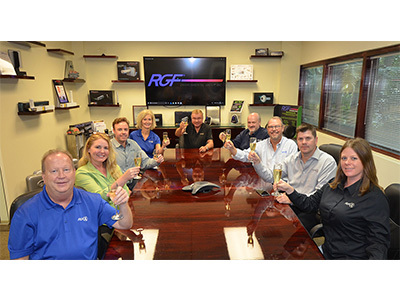 RGF leaps into the new year right, racing to add a 2nd shift just to keep up with the demands! All departments experienced explosive growth going into 2017 already proving to far exceed the original planned output. 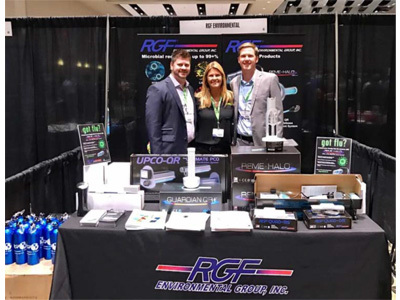 RGF's Indoor Air Division came out in force at the International Air Conditioning, Heating and Refrigeration Exposition held in Las Vegas. 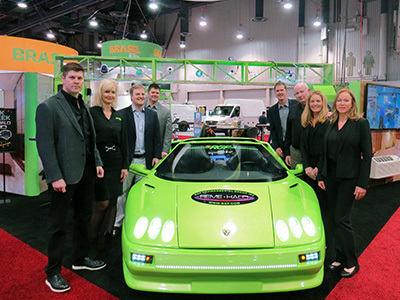 In addition to our newest products/technologies, the real star of the show was the 'LamboGreenie' siting front and center attracting thousands of visitors! 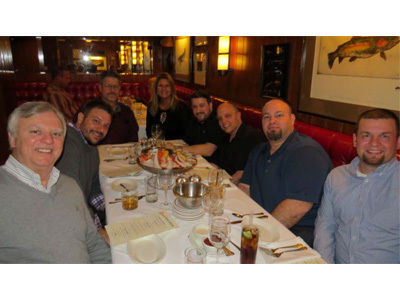 RGF hosted a beautiful dinner for South Florida HVAC powerhouses Lindstrom Air Conditioning & Plumbing, Cousins Air and Sansone AC at Chef David Walzog's award-winning SW Steakhouse at the Wynn Las Vegas. 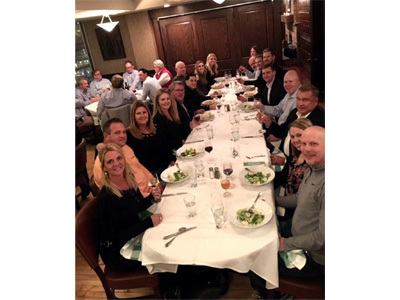 RGF held an appreciation Reception for RGF customers and partners at AHR Expo 2017 to thank them for their support. 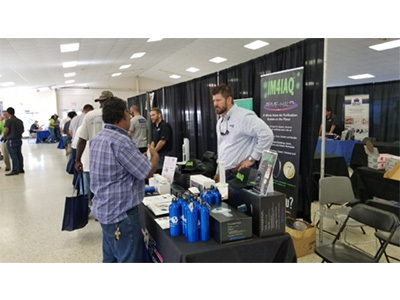 Over 100 HVAC professionals attended. 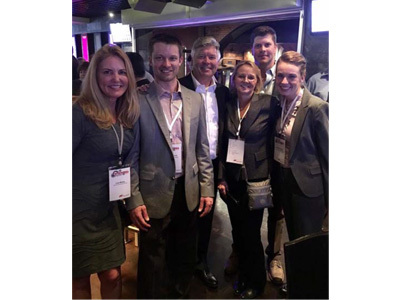 Contractors, wholesalers and rep firms from across the country were represented!! 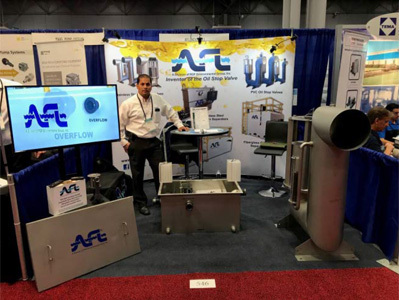 The ATS REME was the workhorse in RGF's booth along with our full line of chemical-free Food Sanitation Products at the International Production & Processing Expo, the largest annual trade show for the poultry, meat and feed industries. 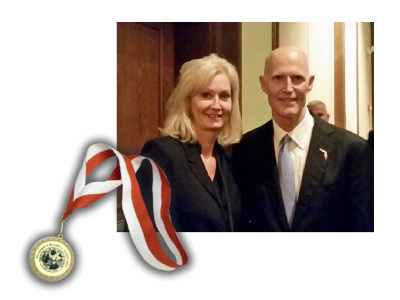 Executive Vice President and General Counsel Sharon Rinehimer represented RGF at Governor Rick Scott's 2017 Jobs Summit, wherein she accepted the award on behalf of RGF. 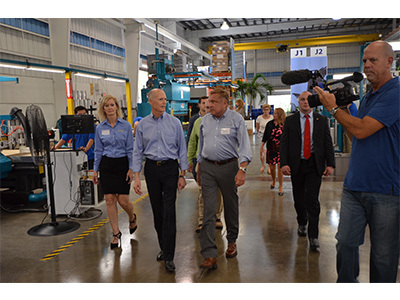 The summit brought together business, economic development, government and education leaders from around the state of Florida. 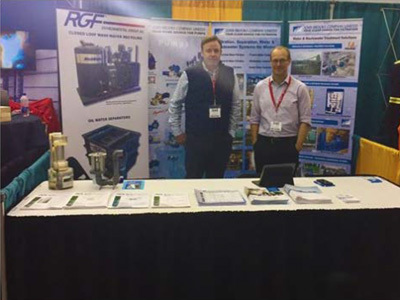 RGF showcased our patented Universal Advanced Bio-Reactor (UAB) for recycling equipment wash water associated with golf and turf maintenance facilities. 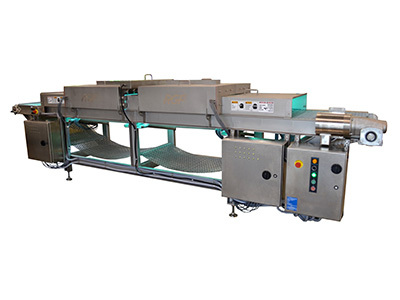 RGF completed a large order for several food sanitation tunnels from the U.S. Government which headed to the U.S. Embassy in Baghdad to help serve as a ﬁnal safety step for food going to the embassy's commissaries. 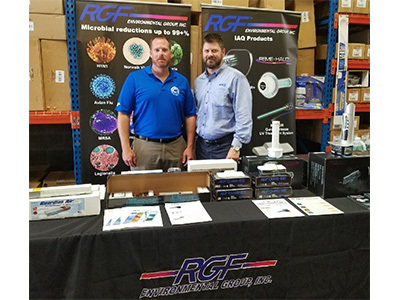 RGF welcomed Cooling Advisors for product training. Product training is key to a great customer experience. It also assists in building employee conﬁdence. These two combined are key ingredients in the quest for both loyal customers and conﬁdent, productive employees. RGF's Electro Mechanical Museum Opening was electrifying!!! 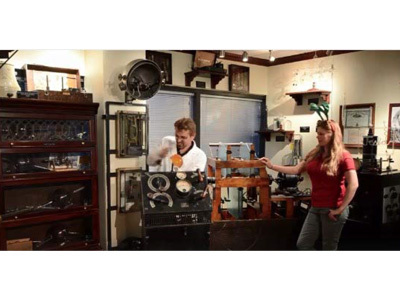 RGF's Electro Mechanical/Atomic Museum contains some of the rarest electro mechanical and radiation pieces in the world by inventors such as Nikola Tesla, Benjamin Franklin and Thomas Kinraide. 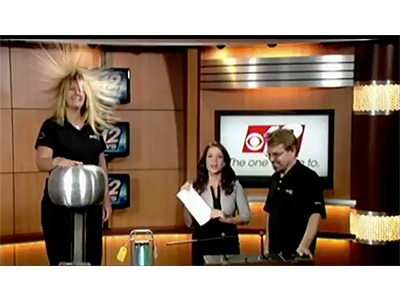 Jeﬀ Behary and Astrid von Oetinger showed oﬀ some hair-raising (literally) electro machines live on TV!!! 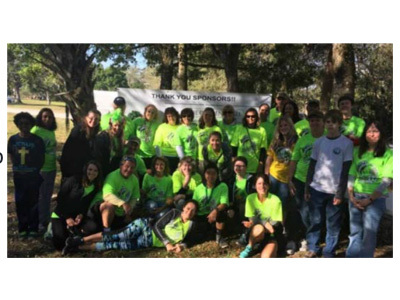 Funds raised at the Riverbend Park 5K help to support The Partnership for Environmental Education and Jupiter's Environmental Research & Field Studies Academy. 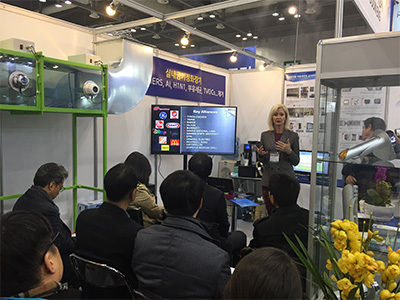 Harfko is an international exhibition for heating, air-conditioning, refrigeration, ventilation, and now IAQ thanks to RGF's Distribution Partners in South Korea, Tesco and Dooin Engineering who exhibited at the show. 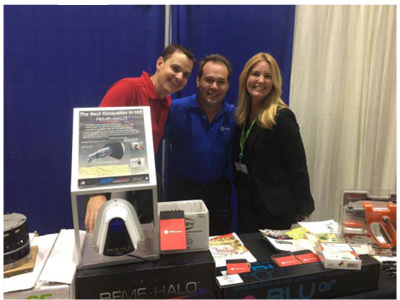 Pro-Dev Sales Reps Ryan Charles and Sean Wahl attended the Mingledorﬀ’s Annual Dealer Meeting with Trish Ferguson Alfele from RGF Environmental Group, Inc.
RGF's Air Team had another successful night at the Palm Beach Air Conditioning Contractors Air Show displaying all our IAQ products. REME and HALO, our resident peacocks, shared their sanctuary with our new foundlings. These cute baby ducks were released on our beautiful Koi stocked pond. 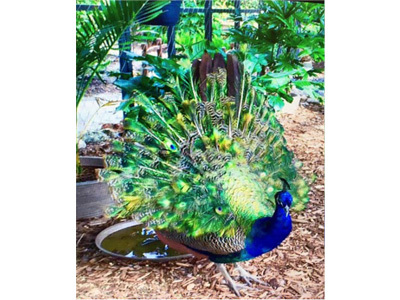 RGF is located on 7 acres featuring exotic vegetation and hundreds of fruit trees. 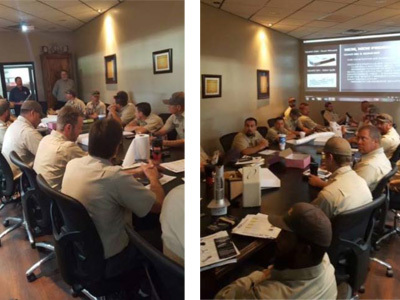 Howard Air knows that product training is key to loyal customers and conﬁdent, productive employees. 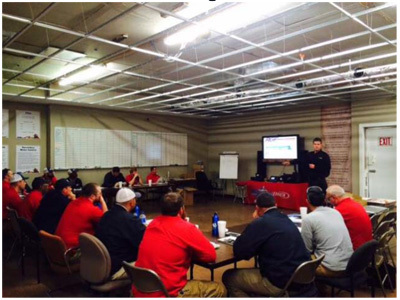 Danko Mechanical Sales Company was instrumental for igniting Howard's sales team with product training! 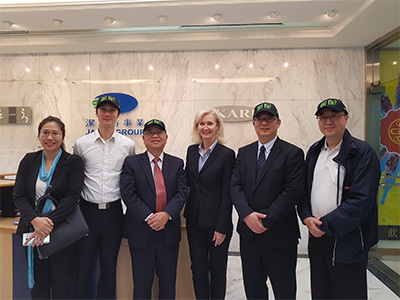 Sharon Rinehimer, continues to expand RGF's global network with the Ikari Team of Taipei, Taiwan. 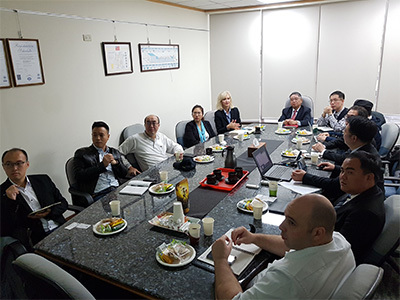 Sharon met with Ikari's principals and sales team to discuss technologies, business development and marketing strategies in Taiwan. In conjunction with all of the work RGF has done with Chipotle this past year, we have also been busy assisting their supply chain vendors to improve their plant food safety. This has included multiple air treatment applications as well as our 360-degree treatment tunnels. One supplier of tortillas requested that we supply custom tunnels to treat their products prior to packaging in their two facilities. 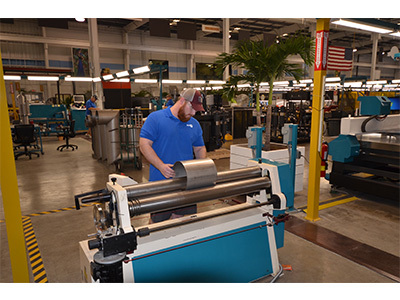 RGF was able to provide a design that integrated into their existing lines without aﬀecting production speeds. RGF's Jeﬀ Behary, our Mechanical/Atomic Museum Curator, and Trish Alfele once again showed oﬀ some of the “toys” we have in our Electro Mechanical/Atomic Museum! 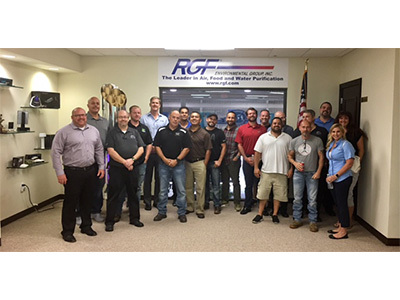 RGF Contractors Training to be the "Leader in IAQ"! 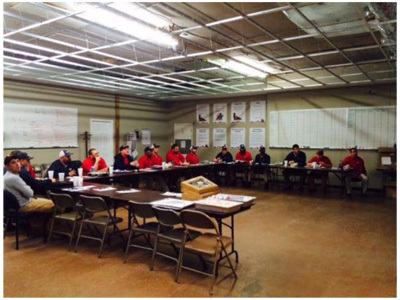 Freedom Heating and Cooling located in Bessemer, Alabama knows that product training is key to being the Leader in IAQ in their region. Sean Wahl with Pro-Dev Sales led the team training for RGF. 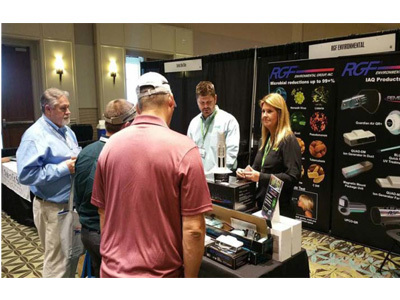 Robyn Dear and Lisa Bailey represented RGF and our top-of-the-line IAQ products at the annual Peirce-Phelps sales meeting in Pennsylvania. RGF reaches another milestone with record-breaking sales in the ﬁrst quarter of 2017. 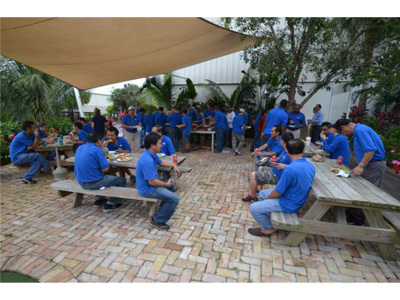 The whole team celebrated with a delicious lunch at our headquarters. Chipotle announces a food safety overhaul – moving forward with their partnership with RGF! 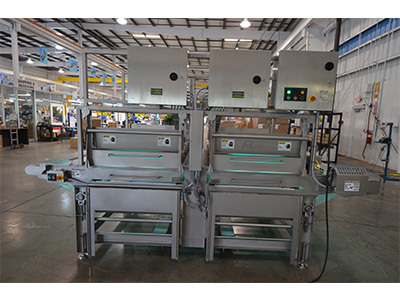 Along with its announcement of their new food safety overhaul, Chipotle made an order commitment for all 2,200 restaurants to be outfitted with REME HALOs and Ice Sanitizer Units. All new locations will include these as standard equipment. The South Florida Business Journal, Food Safety News, and Grubstreet all ran great spotlight articles on our REME and Ice Machine Sanitizer technologies that we implemented for Chipotle. 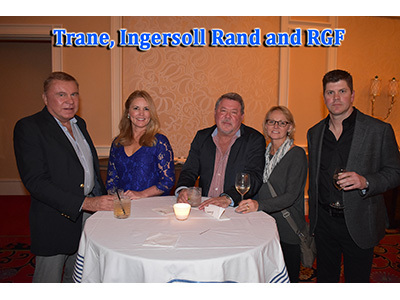 RGF and Trane at the "Winning Together" Ingersoll Rand Meeting bringing together enthusiastic, passionate and dedicated HVAC professionals. RGF is dedicated to promoting science to the next generation. 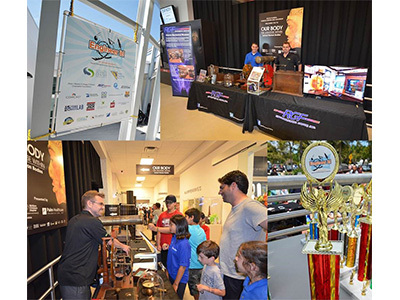 RGF was one of the sponsors for the South Florida Science Center and Aquarium’s 31st Annual Engineering Competition. Jeﬀ Behary who represented RGF was so impressed with the talented students that competed in Engineer it! 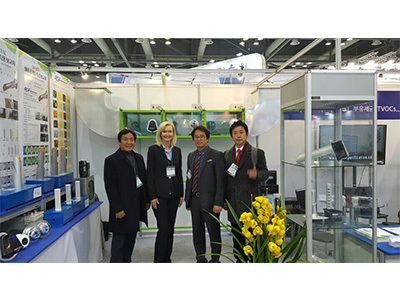 CHR Expo Shanghai, China Together, we are the Leaders of IAQ in China! 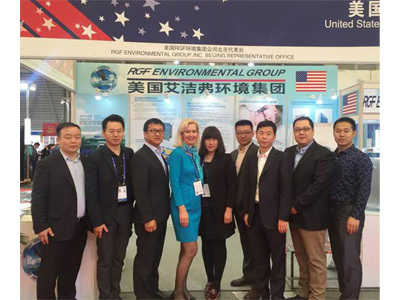 Sharon Rinehimer, Executive Vice President, and our RGF China Sales Team exhibited at the 2017 China Refrigeration and Heating Exhibition in the U.S. Pavilion. 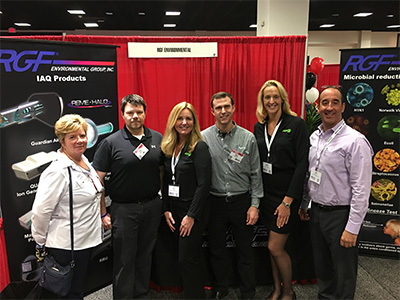 RGF and Distribution Partner Alphay Technologies' sales teams attended. RGF is leading the air puriﬁcation trend in China at HVACR industry in China. Our exports to China continue to grow as they become more aware of the importance of indoor air quality and the concern for health risks due to heavy air pollution. RGF and Alphay teams then spent time afterward with our teams bonding over Mongolian BBQ at a 500-acre farm along the Chaobai River in China. 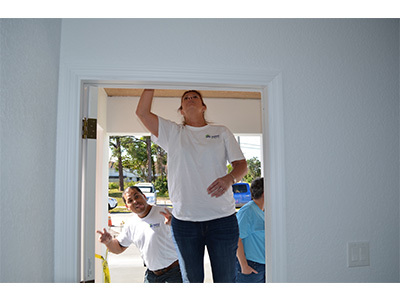 RGF and Habitat For Humanity Announced “Halos for Homes” Partnership to raise funds for Habitat homes in Palm Beach County, Florida. 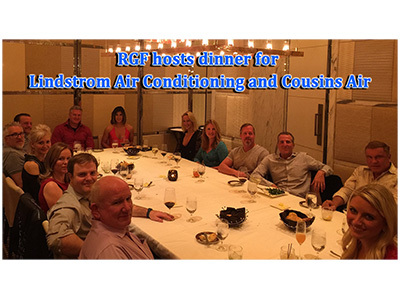 Through the Halos for Homes partnership, RGF will donate a portion of sales from our most popular IAQ products sold. In addition, we will donate one REME HALO® to each newly constructed Habitat home during the 8-month campaign. 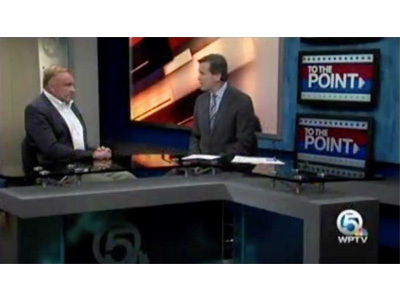 Our RGF President/CEO Ron Fink discusses exporting to China on WPTVs “TO THE POINT”. 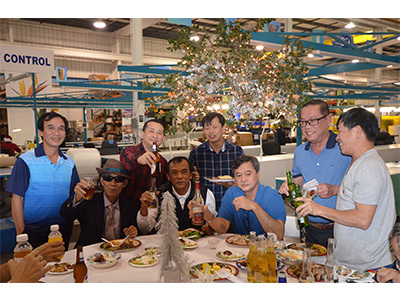 RGF has been exporting products to China for 15 years with great success. RGF invited the HVAC Students from Lincoln Tech, the Leading Provider of Technical Skills Training, to come for a tour of our manufacturing plant, and mechanical/ atomic museum and get a brief overview of our IAQ technologies. 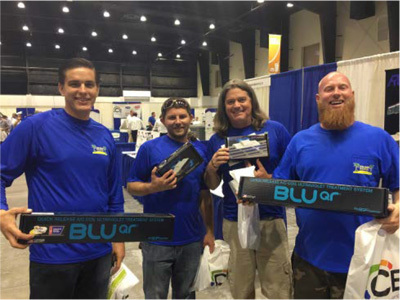 It was a pleasure meeting the next generation of HVAC professionals. 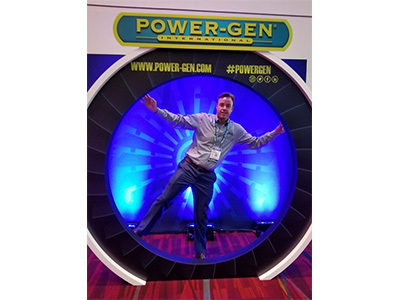 The HVAC and IAQ future looks bright! RGF "Best Shot" Tent at SFACA Golf Tournament! 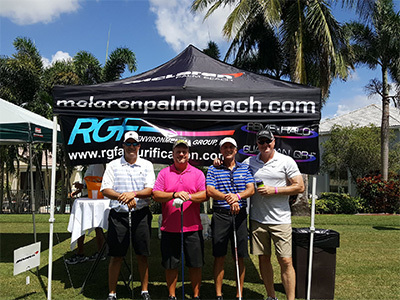 As Title Sponsor of South Florida Air Conditioning Contractor's Association Golf Tournament, we had a great time entertaining all of the HVAC professionals at the RGF "Best Shot" Tent. You have the right to… a hole in one! It was a privilege to sponsor the L.E.A.F. (Law Enforcement Assistance Foundation) Golf Classic at Trump International Golf Club. 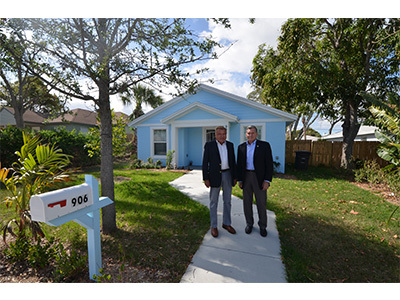 RGF's President Ron Fink and Bernie Godek, CEO of Habitat for Humanity of Palm Beach County meet to commence the Halos for Homes partnership to raise funds to build Habitat homes in Palm Beach County, Florida. RGF will also provide the new homeowners with Fresh Indoor air with RGF's REME HALO's to be installed in each home built. 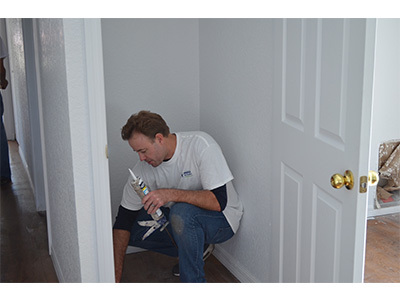 Mark Alford, President and CEO of Alford Air Conditioning, Inc., says his techs ﬁnd it easy to sell RGF Environmental Group Inc.'s REME HALO®, because they all have one installed in their own homes! 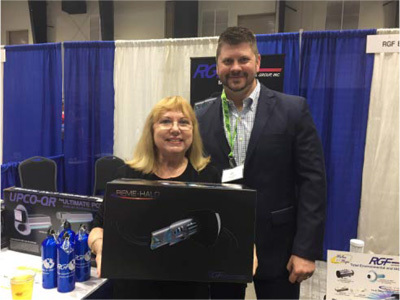 RGF and Victor Distributing Company had a great time going back to the 80's at the 2017 BLUE HAWK Annual Conference in Denver, Colorado. 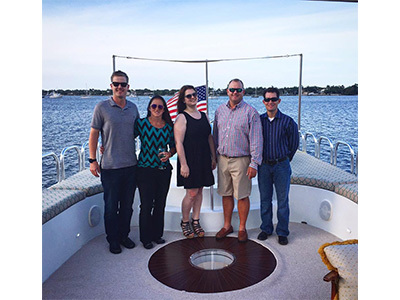 Ahoy from RGF and Weather Engineers Inc.
Great factory tour, followed by a beautiful evening on RGF's environmentally friendly mega yacht, the Envision, with Weather Engineers, Inc., one of the leading providers of air conditioning and heating equipment and services for North Florida and South Georgia. 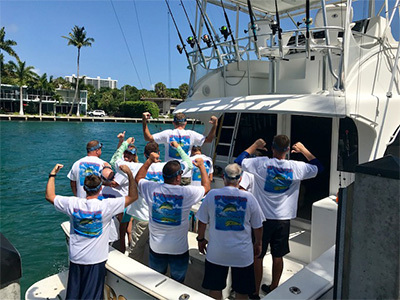 RGF proudly sponsored the Sansone Air Conditioning Team at the PBACCA High-E-Fishin-Sea XXVI Tournament. A REEL great time was had by all! 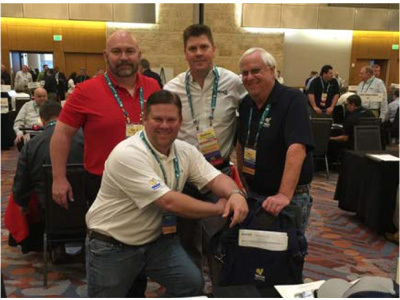 TUV SUD and RGF partner up! TUV SUD and RGF partnered up to create a case study and video piece for their Safety certiﬁcation programs. RGF Engineer Philip Kircher was the star trainer in the video. 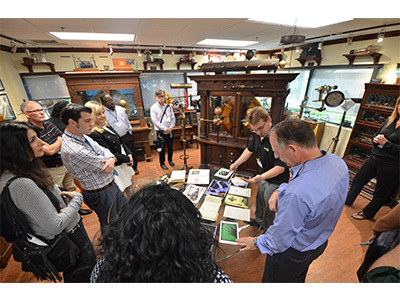 We loved showcasing our amazing quality assurance team at their best at our Electro Mechanical/Atomic Museum! AFL teamed up with our Canadian distributor, John Brooks Company to display our products to the mining industry in Timmons, Ontario! 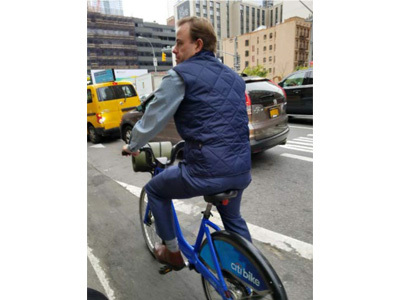 Tony Julian, VP of Business Development, braved the cold weather to represent AFL. 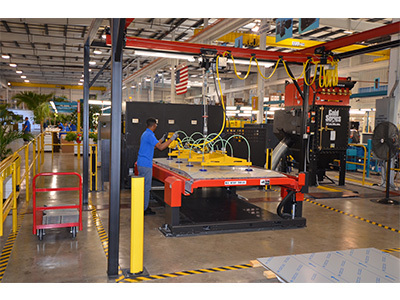 Our new REME HALO® Assembly line in Building No. 2 was up and running May 1st. 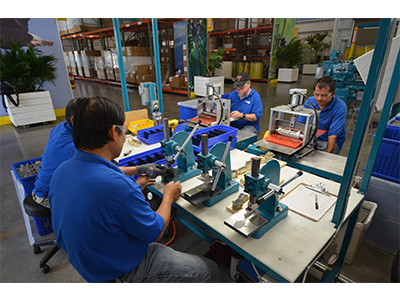 We consistently hit the goal of over 1,000 REME units manufactured, tested and shipped per day! 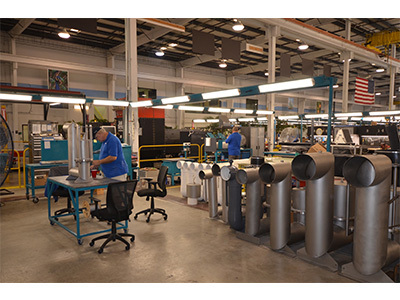 This is in addition to maintaining production of our other IAQ product lines. 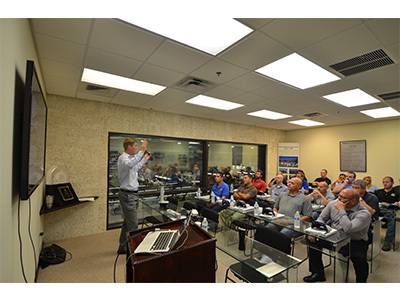 Carrier Enterprise Team Training at RGF's facilities Glass Classroom. 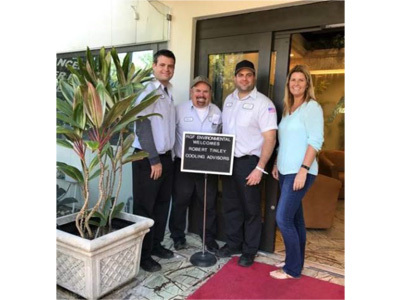 RGF improved the Indoor Air Quality at American Cancer Society of Palm Beach County Headquarters (ACS) with the donation and installation of eight (8) REME HALOS and ﬁve (5) Guardian Air QR+ units. 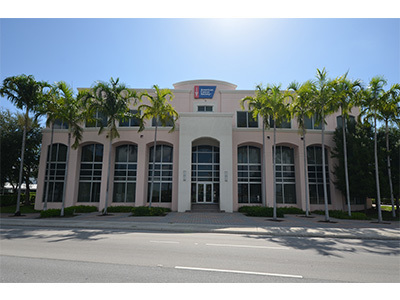 The ACS oﬀers services to cancer patients throughout the community, who often visit the building while undergoing treatments. 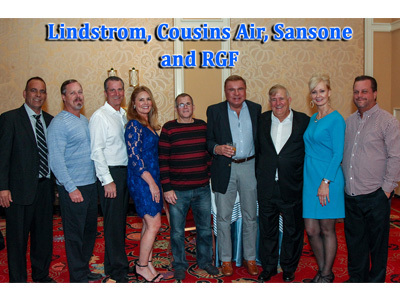 RGF Hosts the Habitat for Humanity Gala Committee on Envision. 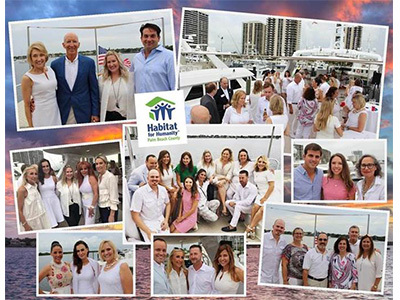 RGF, a partner with Habitat for Humanity and one of the Gala Sponsors, held a beautiful white-themed reception on Envision, our 110” mega yacht and ﬂoating showroom, as a thank you to the Habitat Gala Committee. Seven-time Finnish Ice-Hockey Champion, Oulun Karpat, keeps the team healthy with RGF's PHI Technology for all of their equipment. The team's gloves and boots are dried and sanitized on racks ﬁtted with RGF HVAC Minis reducing odors and bacteria. RGF was recognized at the YWCA's Purse and Passion Luncheon held on June 7 for our support of the YWCA Harmony House. The secure domestic abuse shelter oﬀers a year round, 24-hour facility for women and their children who are victims of domestic violence. 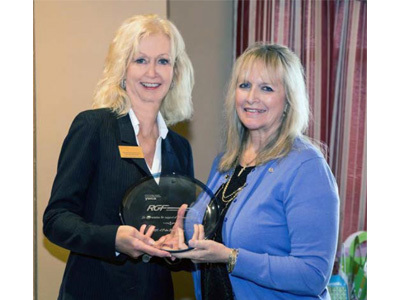 RGF is dedicated to continuing its support of the YWCA, the Harmony House and the YWCA's local community outreach services, child care and youth programs. It was a privilege to welcome Carrier Enterprise and their contractors for training at RGF. 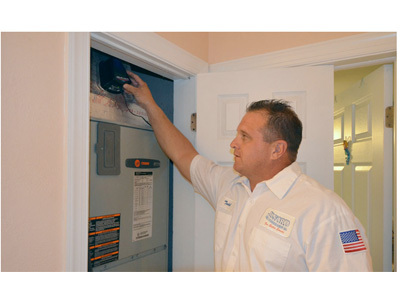 With over a million customers, Carrier is a trusted HVAC parts distributor that partners with only the highest quality HVAC parts and equipment manufacturers in the HVAC industry, including RGF. 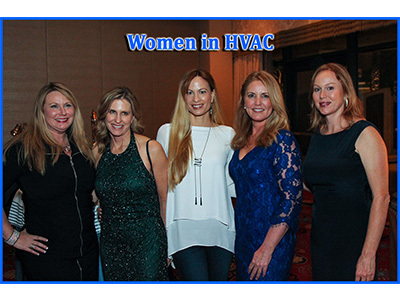 RGF Environmental is a proud sponsor of Women In HVACR. 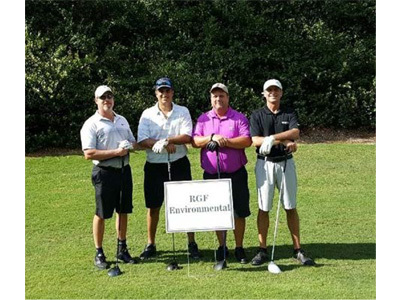 It was RGF's privilege to sponsor the 2nd Annual Sam Spurlock golf tournament at Winston Trails. The proceeds will beneﬁt local veteran's charities and the American Cancer Society. 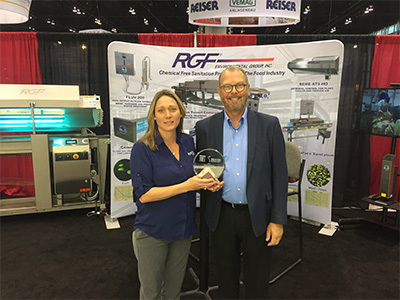 RGF won our seventh Dealer Design Award for our proprietary Ice Machine Sanitizer with PHI technology! Major Chain restaurants are using RGF's IMSB to ensure the highest quality ice for their patrons including 2,000 Chipotle locations. 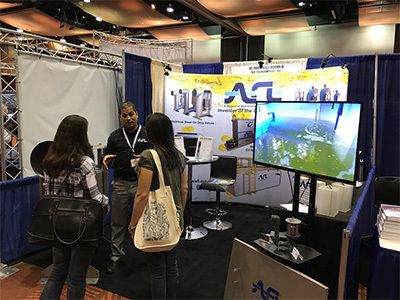 AFL exhibited at StormCon 2017 in Seattle, WA. 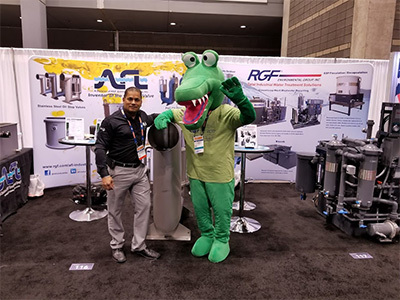 Tony Julian and Rom Laureano made some great new contacts in the storm water treatment markets for their oil stop valves and oil water separators. Ryan Charles of Pro-Dev Sales Rep Group and Jeremy Mann with Carrier Enterprises at the CE Clermont Open House. 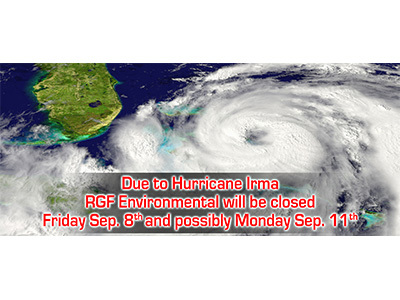 We were very grateful that RFG Headquarters sustained minimal damage and fortunate enough to have only lost two working days during this challenging period. 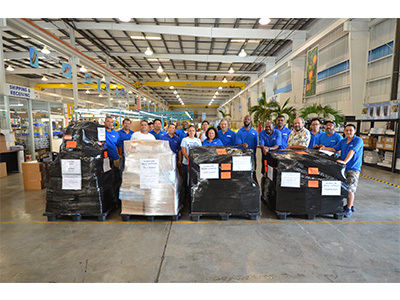 In preparation for Hurricane Irma, we shipped over $2 million worth of product to Chicago to ensure that we experienced only minimal delays on our key products. Annual AFL Sales Meeting tees oﬀ! 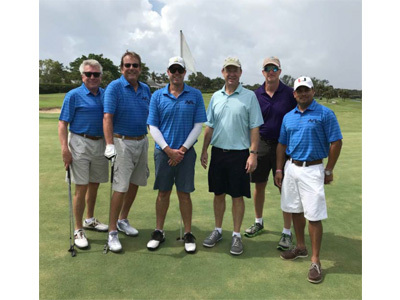 AFL's first annual sales meeting was valuable, both on and oﬀ the golf course! 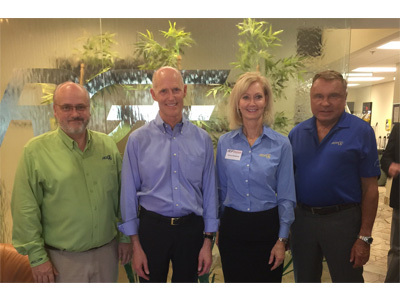 We introduced valued distributors to RGF's headquarters and the North Palm Beach Country Club. 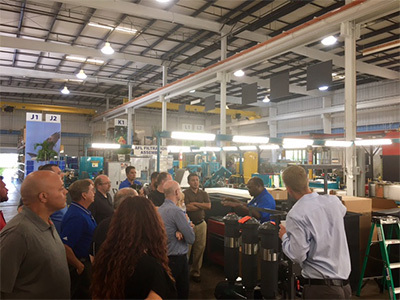 In attendance were members from John Brooks Company, Texas Industrial Sales, Liquid Handling Specialists, AEE and the Crocker Company. Tony Julian wore pink throughout September and October to raise awareness for the American Cancer Society's 'Real Men Wear Pink' campaign. 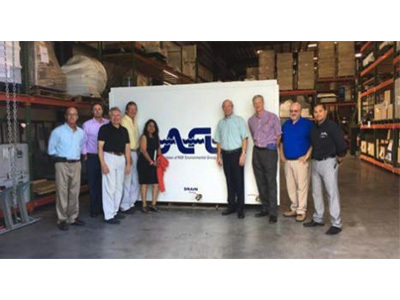 One of RGF's select contractors AirNow Cooling and Heating out of Alabama made the most of their visit to our factory. 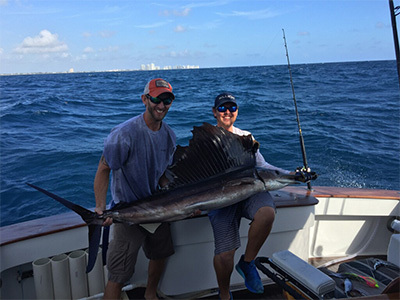 Kingﬁsh, dolphin, tuna and two sailﬁsh were caught on their deep-sea ﬁshing adventure. 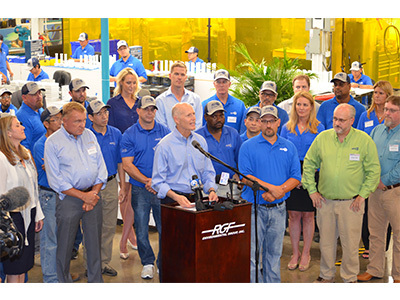 This great day, coupled with a factory tour and training, will continue to fuel their success story. 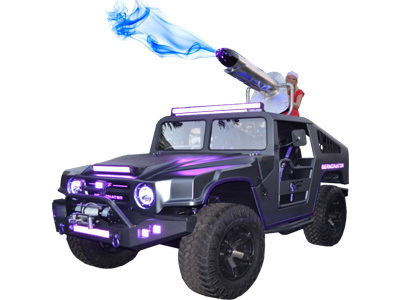 Thank you AirNow for your business!! 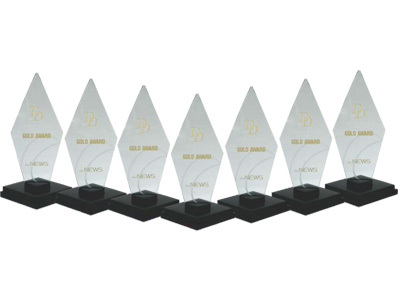 RGF wins its 8th Dealer Design Award! 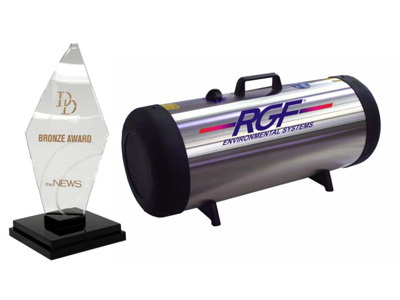 Our Rapid Recovery Air Puriﬁcation and Odor Destruction System (RRU®) was recognized for Innovative IAQ technology. Eight isn't enough! More to come. 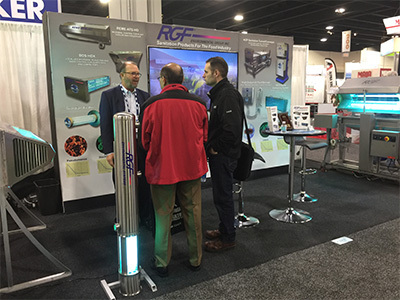 RGF's Industrial Wastewater Division and the AFL Division exhibited our latest water systems at the annual Water Environment Federation Exhibition and Conference. 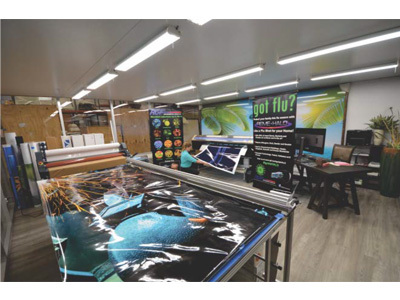 RGF has purchased new printing equipment and added a new graphics and printing shop to our marketing department to produce in-house trade show popups, banners, wraps and signs for our select contractors and distribution partners at no cost to them. Astrid makes a friend with our new Macaws! 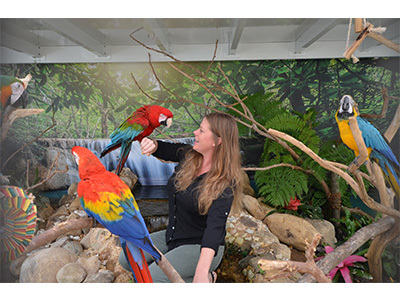 These macaws have taken up residence at RGF's Envisionland for all to enjoy. So far, they're saying "Hello" and "Pretty bird". One of them has taken aﬀection to Astrid von Oetinger. 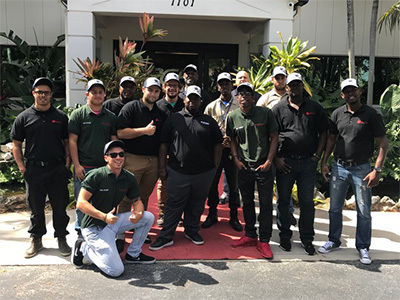 Thanks to the compassion and hard work of our valued employees, The Oasis of Love Church and Cortes family of West Palm Beach, RGF shipped over 3,000 lbs of essential relief supplies to areas of Puerto Rico damaged by this historic hurricane season. RGF recognizes the eﬀorts of our Puerto Rican employees in leading the eﬀort to help those in greatest need! 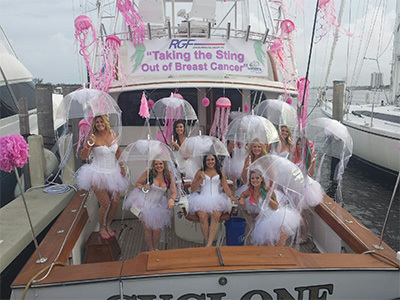 Taking the sting out of breast cancer! 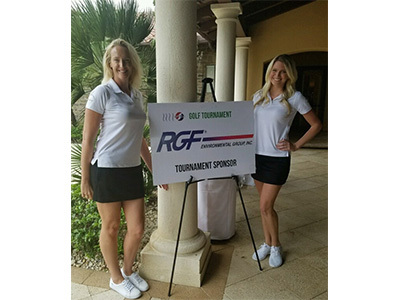 RGF sponsored this year's Bluewater Babes Fish For A Cure ﬁshing tournament, which beneﬁts local women aﬀected by breast and ovarian cancer. Dressed up as jellyﬁsh, they won Best Newcomer! United we stand in the ﬁght against cancer! 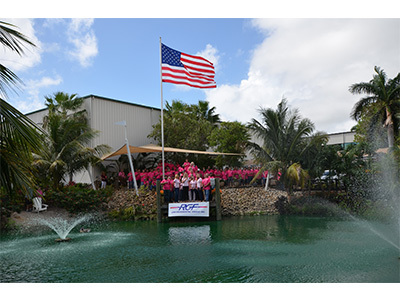 The entire RGF team came together today to show its support and commitment to our country and Breast Cancer Awareness month. Special thanks to Karista MacRostie (vocalist at Carnegie Hall), who performed the national anthem, as well as our friends from the American Cancer Society, Chris Snyder and Jay Zeager for joining us for this “GoPink Flag Raising Lunch Celebration”. Colin Kaepernick and Roger Goodell weren't invited. 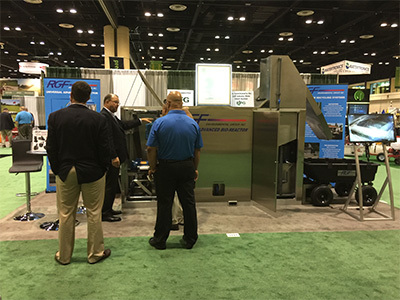 RGF's IMSB Ice Machine Sanitizer won the food industry's renowned Innovations Showcase award at the Process Expo!!! Companies like Chipotle Mexican Grill and others beneﬁt by keeping their ice machines clean and pathogen free using the IMSB with RGF's proprietary PHI technology. We exploded pumpkins on LIVE TV for National Pumpkin Day! 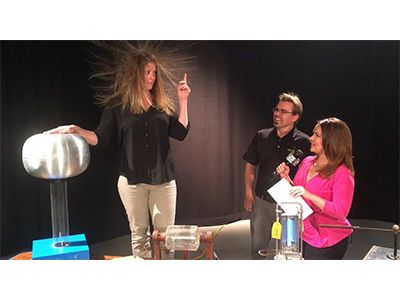 In a world ﬁrst, curator of RGF's Electro Mechanical/Atomic Museum and “Mad Scientist,” Jeﬀ Behary, used our very own Astrid von Oetinger as a human conductor for 200,000 volts to ignite and 'carve' Halloween pumpkins. 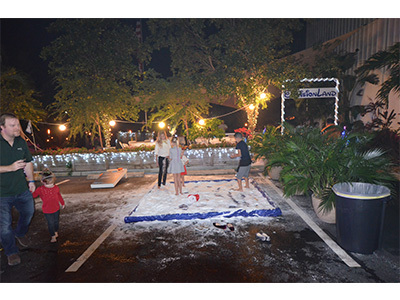 The Air Conditioning Contractors Association (ACCA) of Central Florida Tradeshow Event and fall Barbecue was a big hit! 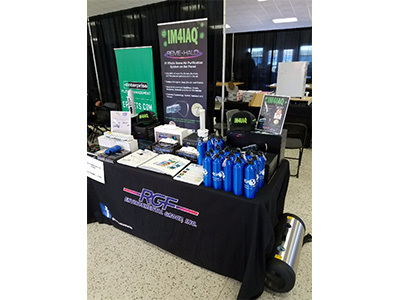 Ryan Charles of Pro-Dev Sales Group exhibited RGF's IAQ product line. Mother Nature did not make life easy for thousands of people in October. 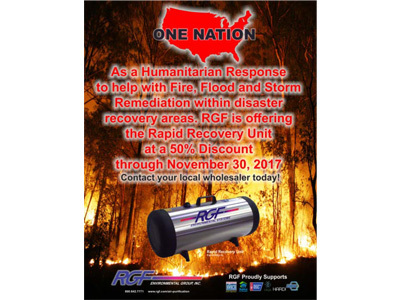 In response, we decided to help those who needed it most in the aftermath of severe hurricanes and major fires by heavily discounting our range of fire and flood remediation products. RGF successfully completed its testing for food and air purification. 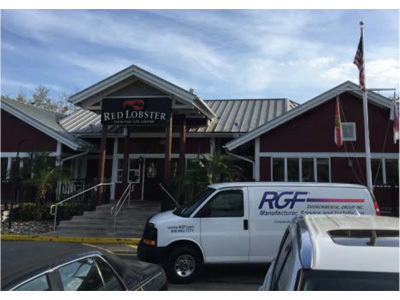 All Red Lobster locations world wide will be completed by the end of 2018. 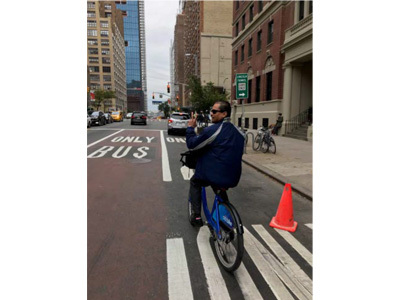 Rom Laureano and Tony Julian got their morning exercise on their way to Chem Show in NYC! 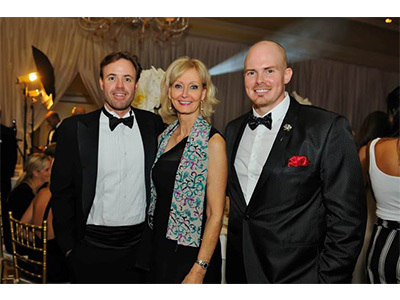 Habitat for Humanity Gala was a star-studded aﬀair! 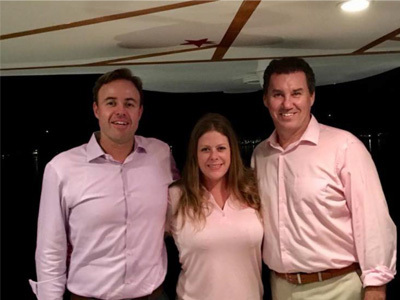 Sharon Rinehimer and Tony Julian and their spouses celebrated a great year of giving with Josh Daniel, Director of Development (pictured) at Habitat for Humanity of Palm Beach at the Breakers! 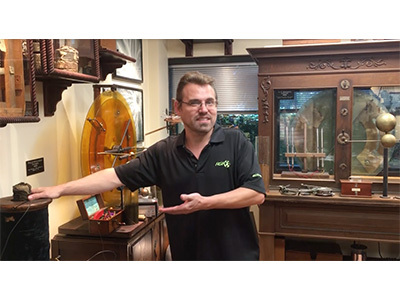 The first of our “Mondays with Jeﬀ” series started to promote our Electro Mechanical/Atomic Museum and the history of UV light and X-rays!! 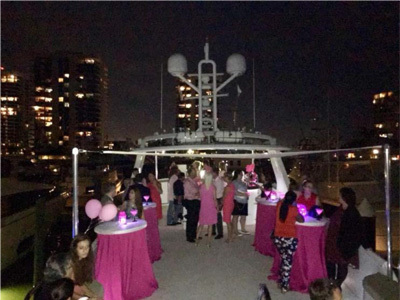 RGF hosted the American Cancer Society “Real Men Wear Pink” wrap-up party on Envision! 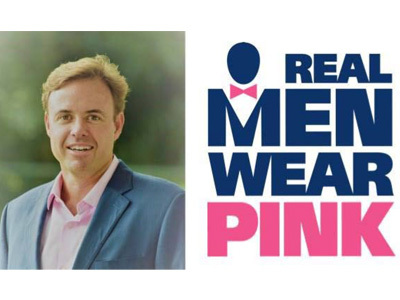 RGF's Vice President of Business Development, Tony Julian and the Real Man in Pink was recognized for his work in the ﬁght against cancer! RGF recognized and congratulated all the Real Men in Pink for their support of this important cause! In Support of our customers! 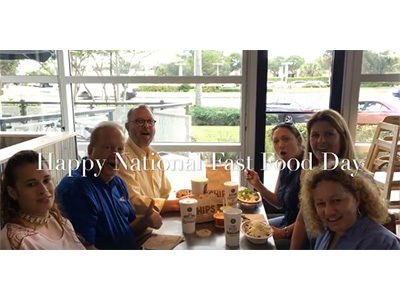 In support for one of our customers, RGF employees decided to go to Chipotle for lunch on “Happy National Fast Food Day”! Mega order for Mega Power! 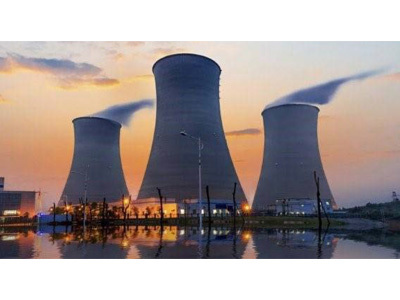 RGF's AFL Division and their distributor, Liquid Handling Specialists supplied 150 of our award-winning Oil Stop Valves to Mega Power/ Southern Company. The installation of our Oil Stop Valves will eliminate risks associated with accidental oil spills at the company's Georgia facility. 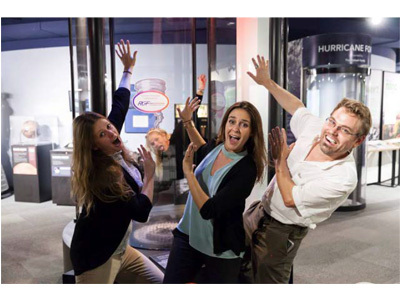 Jeﬀ Behary worked very hard to restore South Florida Science Center and Aquarium’s Tornado simulator so more visitors could experience a mini tornado. One of the larger projects installed at Camp Edwards, Cape Cod, MA is four (4) customized HVTWS systems and two (2) custom CO3P oxidation skids for their existing storage tanks. Also provided was a custom installation kit that converts an existing in-ground tank into a 400 gpm oil water separator utilizing AFL Delta coalescing packs. 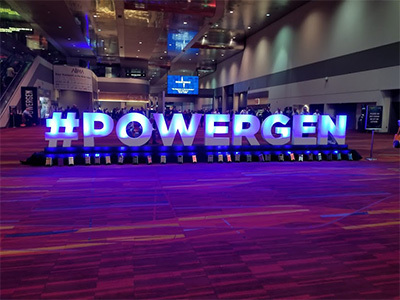 The AFL team hit the road again to attend PowerGen in Las Vegas, NV. Rom Laureno and Tony Julian demonstrated the advantages of AFL's oil stop valve for electrical substations. 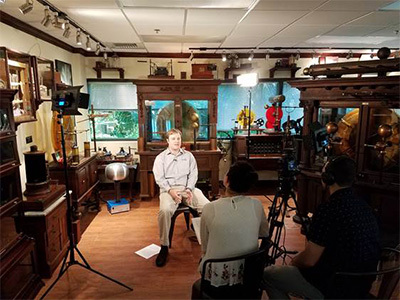 Jeﬀ Behary and Astrid von Oetinger starred in our December special feature video of the lighting our Christmas tree in our Electro Mechanical/ Atomic museum. Managers from both the factory and oﬃce had a friendly competition and team building by helping on a Habitat home build for another well deserving family. 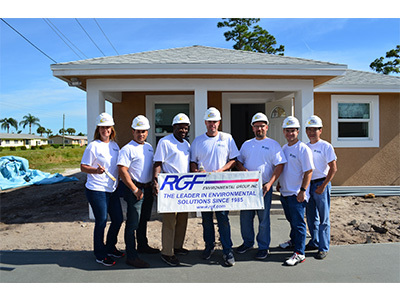 RGF continues our community support with Habitat for Humanity. RGF's Trish, Manny, Rom, Dan, Keith, Tony and Mason all pitched in! 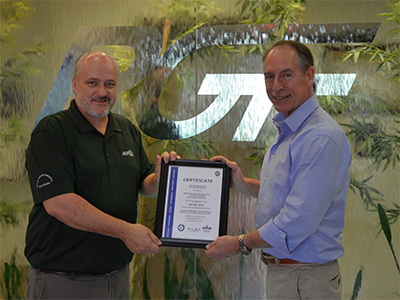 RGF achieves ISO 9001:2015 CERTIFICATION! RGF strengthened its commitment to quality manufacturing with certiﬁcation to the internationally recognized quality standard ISO 9001:2015. The implementation of this comprehensive quality management system demonstrates a passionate commitment to our loyal customers, and sets RGF even further ahead of its competitors! This was all done by Walter Ellis and Milton Dean in record time and below budget in a year that saw a 38% increase in sales. Plus we received a great letter from the ISO team congratulating us on an outstanding program. 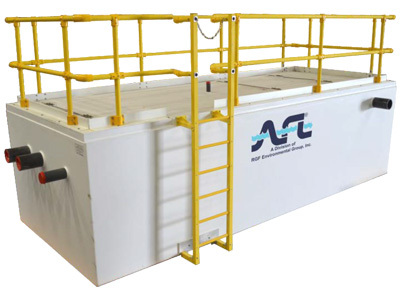 AFL received a major purchase order and deposit for a VTC-500 from NuStar Energy for their terminal facility on the River Thames in Essex, UK (just outside of London). 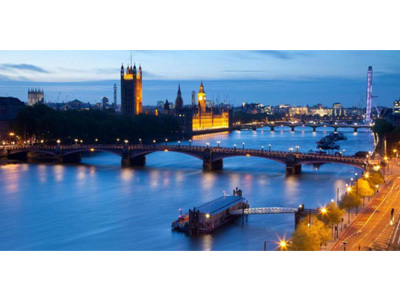 This VTC will be the third for NuStar, which distributes crude oil products in the US and UK. 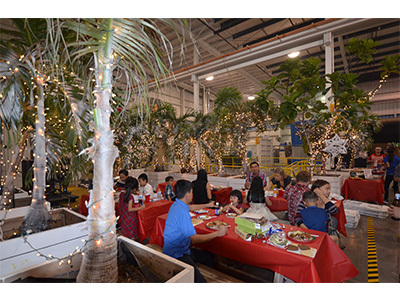 With over 250 employees, family and guests in attendance, we ate from a luxurious buﬀet and enjoyed caroling from Dawn Marie, who performed for President Trump at Mar-a-Lago the following evening. 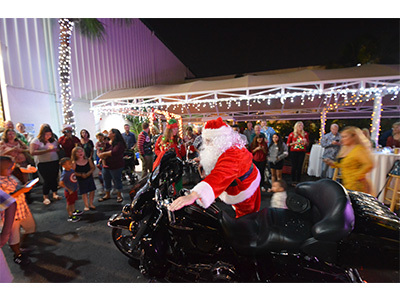 Kids jumped in the bounce house, played in the 'snow' and enjoyed arts-and-crafts until Santa arrived on his Harley Davidson sleigh handing out more than 70 toys and awarding prizes for the best ugly Christmas sweaters! The latest RGF creation brought to life by our special projects team! 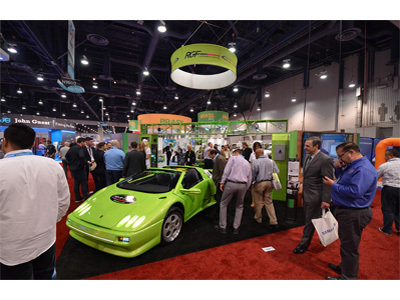 The Germinator is an enviro-friendly electric vehicle engineered, designed and built in-house by RGF engineers, technicians and craftsman. 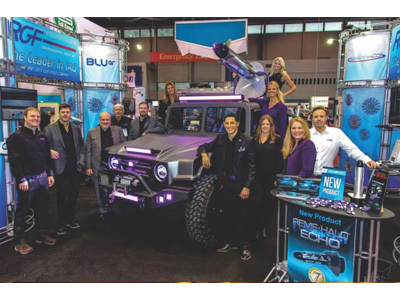 The Germinator features our new REME ECHO product with seven proven technologies. 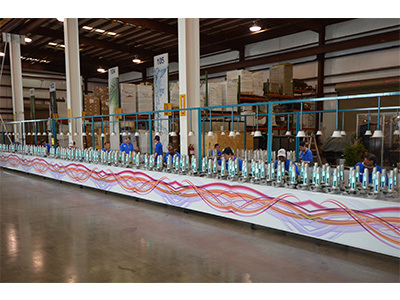 China can't get enough of RGF's 'Vela Aire' air puriﬁers! 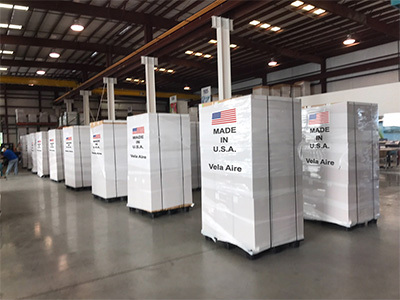 This festive season we're shipping 11,000 Vela Aire units to China to help meet their indoor air puriﬁcation needs and satisfy demand for high-quality U.S. made products! Growth is good, but our record double-digit growth through 2017 was exceptional! 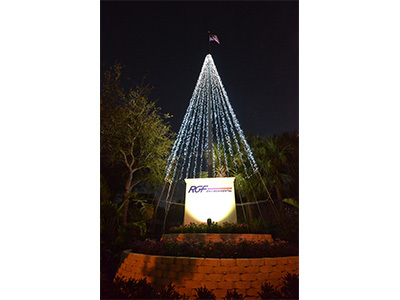 In response to continued growth as well as favorable tax reform, RGF is sharing the wealth with all its 140 employees by giving each a $1000 New Year's Bonus. This together with an average $2,000 less in federal taxes makes 2018 look great! 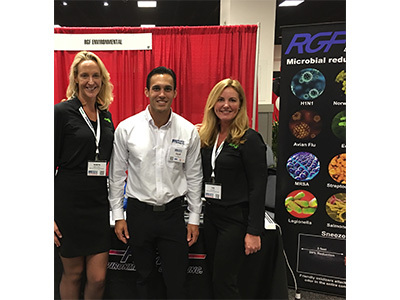 Thank you to all our customers, suppliers and supporters for helping RGF to 'Make America Great Again'! 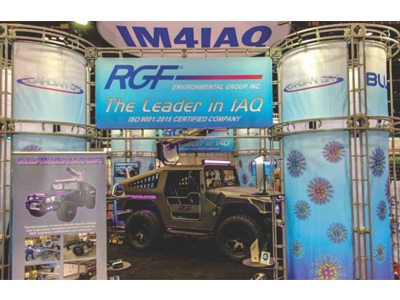 RGF displayed its biggest and best tradeshow display yet. Including a brand new modular display and the Germinator, which was a huge hit, with a 400% rendition of our newest product, the REME ECHO, mounted on top. 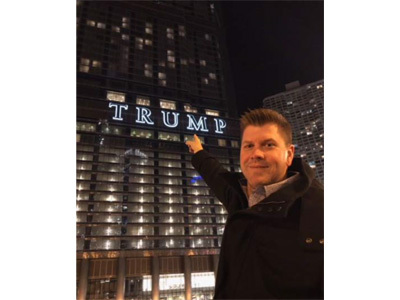 RGF crew stayed at TRUMP International Hotel and Tower in the heart of downtown Chicago. After mentioning we were Trump supporters (some are and some are not), we were upgraded to suites at no additional charge. Class act!! 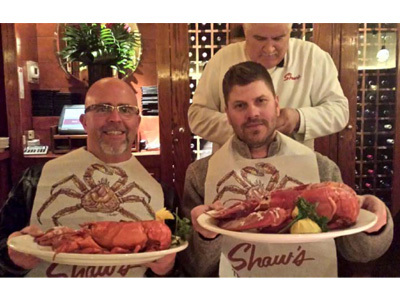 RGF hosted two banquets for over 100 clients and friends at World Famous Shaw’s.